We stopped at Fresno for a night because we are going to Yosemite the following day. I have stayed in few hotels in Holiday Inn Express in UK and find the setting and arrangement are the similar to the one in US too. Since it is an “express” hotel, you will find the services are pretty standard and with reasonable price. 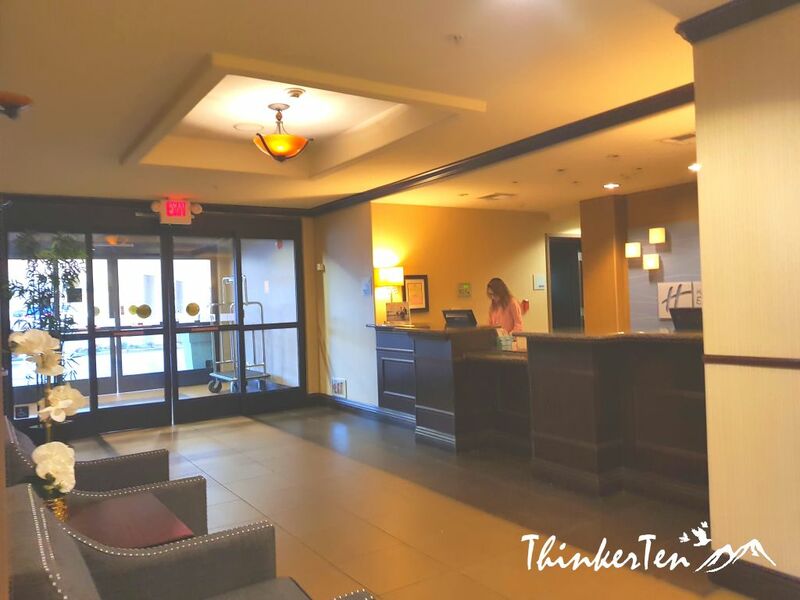 The hotel target for business travelers with short-term stay. 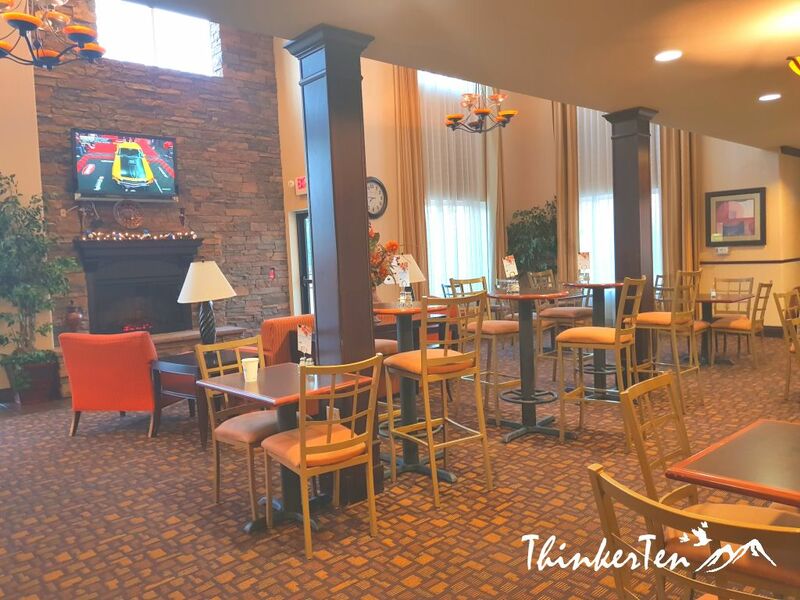 You will find Holiday Inn Express usually found in suburbs and besides freeways. Even though the hotel is just next to the highway I did not experience any noise from my hotel room because my room is not facing the highway. There are few restaurants beside the hotel within walking distance 5 mins. Fast food chain such as In-N-Out Burger, Taco Bell and Dennys. In total there are about 60-80 rooms, a small swimming pool, a small workout area and a small business center. Room is clean and two double bed as we have 3 pax. 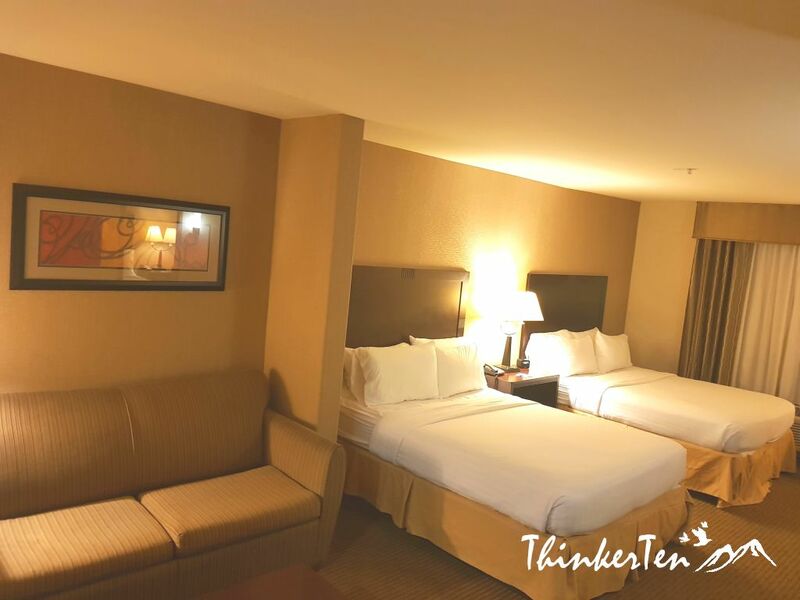 A double seater sofa is next to the two beds. Beds are firm and comfotable. 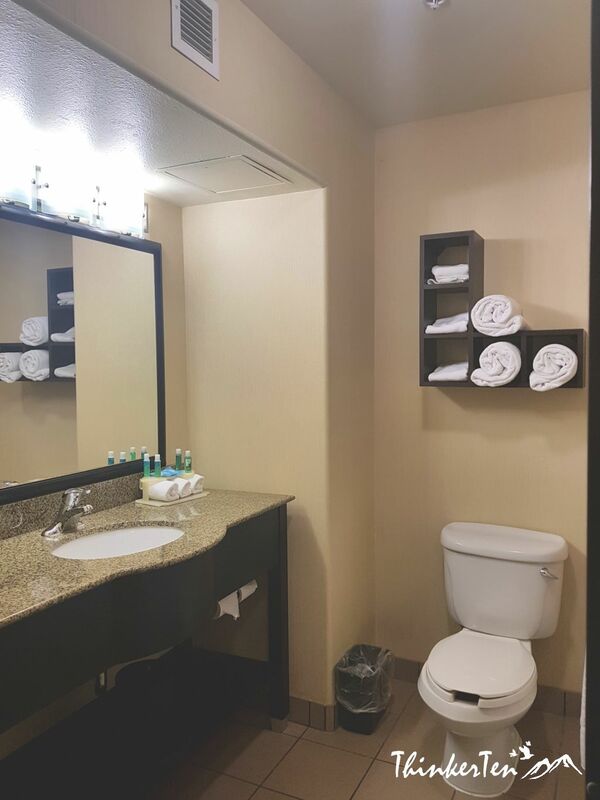 Bathroom is up to my standard, clean towels and basic toiletries are provided. Great water pressure and heat for the shower. 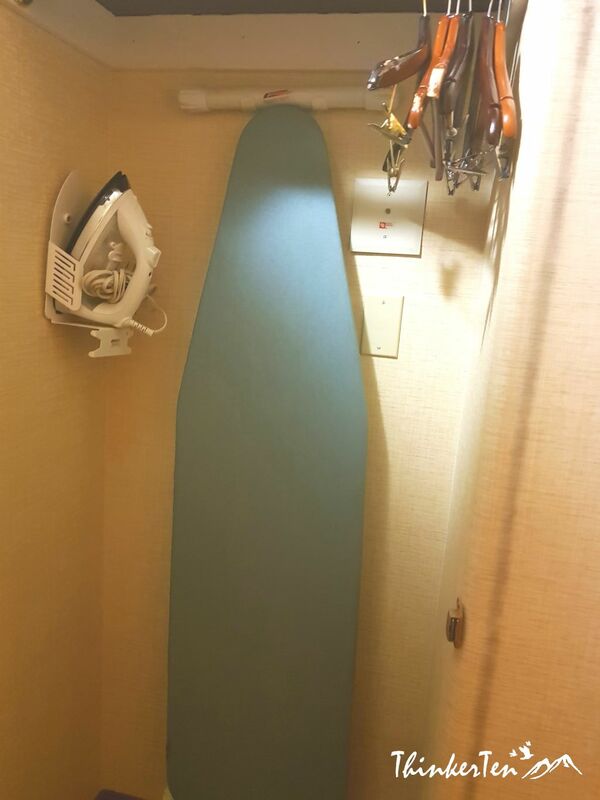 Inside the wardrobe you will find several wooden hangers and an iron and an iron board. Microwave oven, coffee & tea maker and a small fridge. 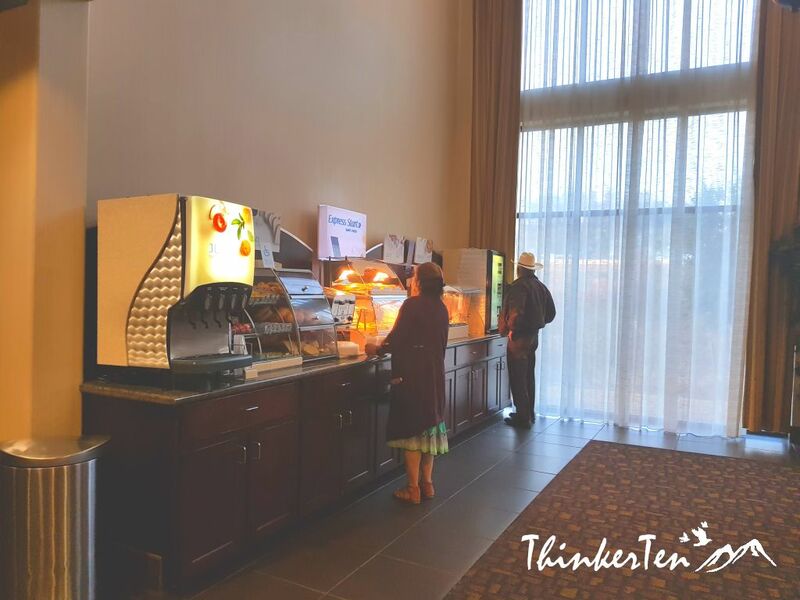 Free breakfast was included but very simple America breakfast; such as coffee & tea, milk and juice, cereal, bread, Egg and ham and sausages. There are some uncut fruits too, such as apple & banana. The breakfast get refilling very often and kept hot too. 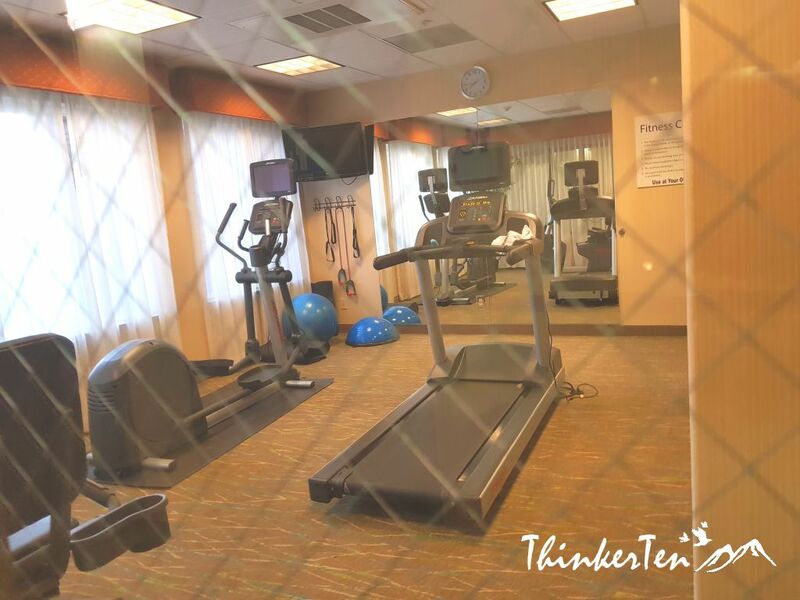 The gym is small, come with two to three treadmills, some resistance band, few bosu ball and a TV. 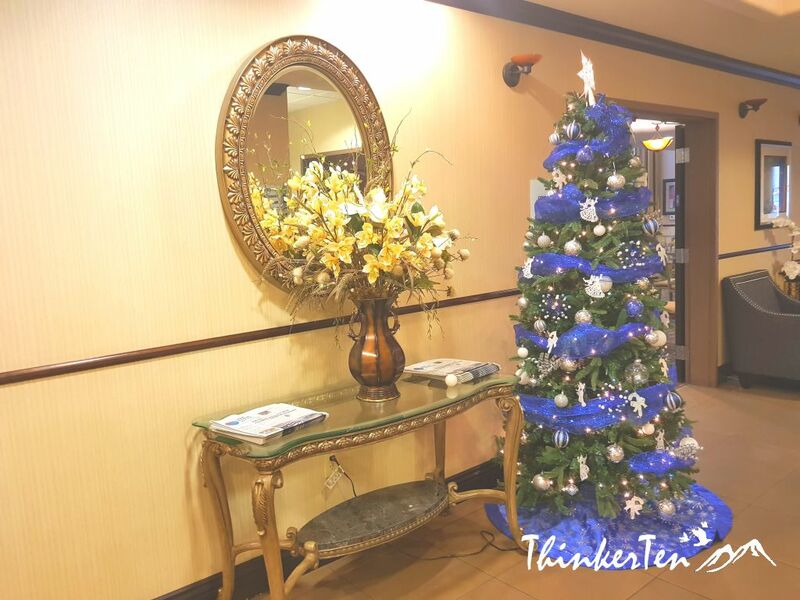 Holiday Inn Express Fresno South has an easy access off Highway 99, easy for travelers who are on the road, rushing from one place to another. Good thing about this hotel is there are many fast foods restaurant within walking distance. We were so tired after a long day on the road so we just walk few out 2 mins to reach out for our favourite In-N-Out Burger. This looks like a perfect hotel for a quick overnight. 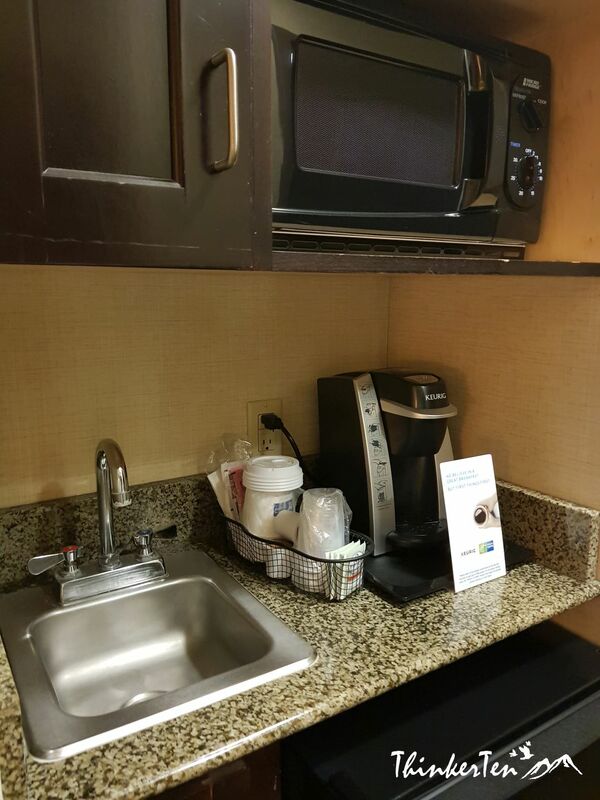 I love that they have a Keurig in the room for a cup of coffee as soon as you wake up! I have never been to this area of the US but this looks like a great affordable option for a hotel. Can’t beat proximity to the main highway as well. It seems this is a hotel with main commodities and has a good access for those driving. You know at this hotel you get standard services for a reasonable price, which is pretty good! That sounds like a nice over night stay. Everything important was there, it was decorated nicely, clean and love the small kitchenette in the room. Then breakfast and be on your way. Sounds pleasant enough. Lovely hotel, looks quite warm and cosy! It also seems so well equipped and that is always an added bonus. This looks like a lovely place to stay. It has all the things you need included too so thats really handy. I think this is a nice hotel, complete with the basic amenities plus free breakfast. It’s great that there are other restaurants nearby, especially if you’re traveling with kids. 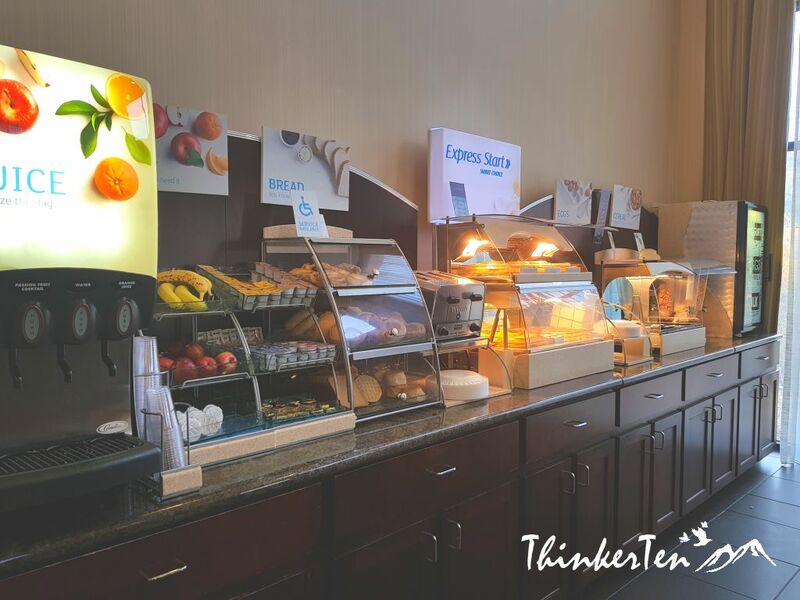 Not bad for a short stay, accommodating staff, clean rooms and linens with free simple breakfast will do for a passing by traveler. Your summary is spot on. I find most of these hotels fairly comfortable and very clean! It is nice to know that there is a clean, safe and convenient place to ‘hang our hat’ before heading off to Yosemite. 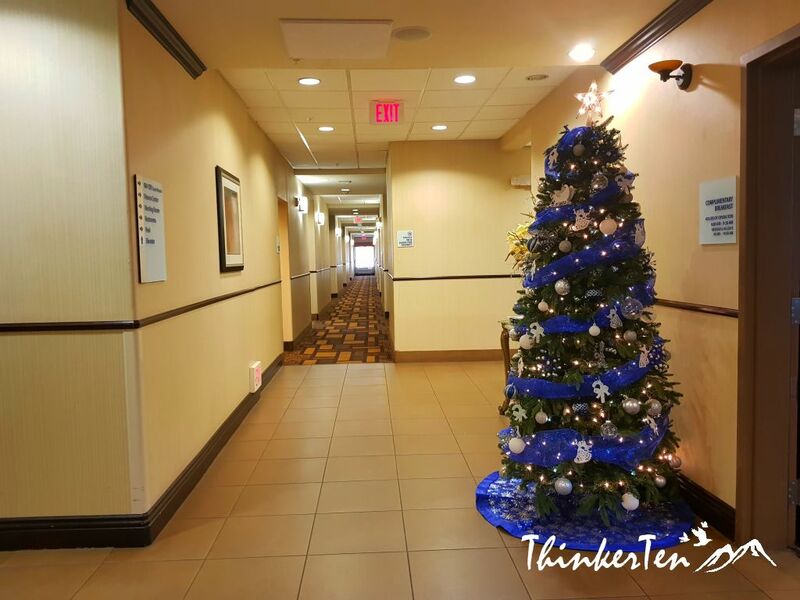 I love the standard of Holiday Inn express, giving visitors a familiar experience no matter where you are in the world. Looks like a very decent affordable hotel, and convenient for those headed to Yosemite. It’s always good to see objective reviews from someone who has stayed there, hotel websites can be misleading. You are right, I have stayed in few Holiday Inn Express when I travel around UK. 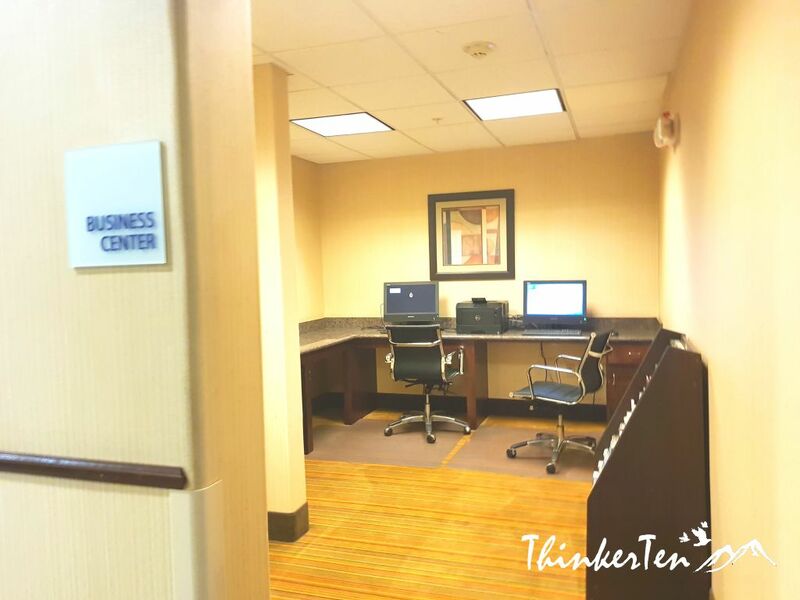 It is pretty standard that comes with a small workout gym, a business center and “complimentary” breakfast. It has all the basic thing a traveler needs. Thank you for sharing this! Looks like the right place to stop in for a little bit. I’m glad you had a great stay! You are right, this is certainly a good place to stop for a while – to break your journey from Las Vegas to San Francisco. From LV to Fresno already cost me 6-7 hours of driving not including any stopping. 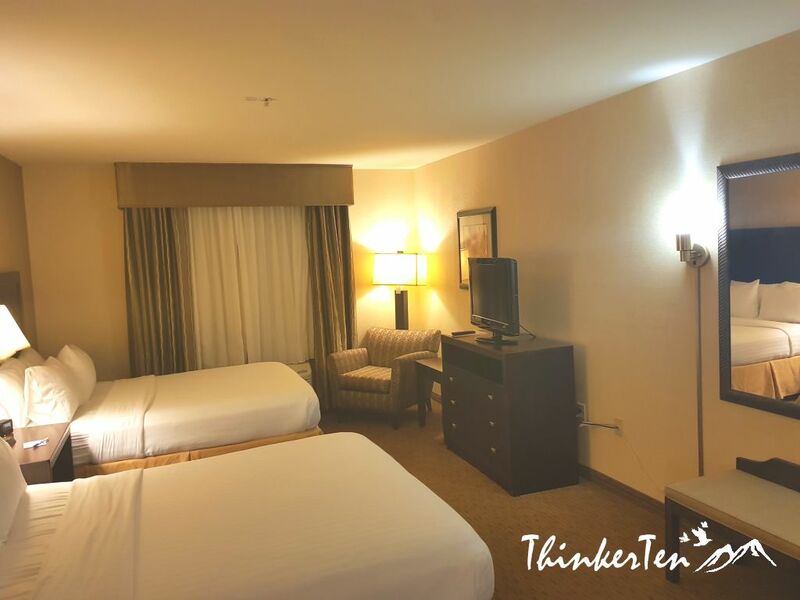 I can’t complain Holiday Inn Express Fresno South is good enough for a short stay.